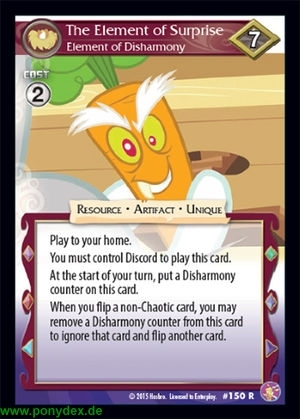 You must control Discord to play this card. At the start of your turn, put a Chaos counter on this card. When you flip a non-Chaotic card, you may remove a Chaos counter from this card to ignore that card and flip another card.